Research in home automation focuses on improving the quality of life of users via the integration of various technologies. 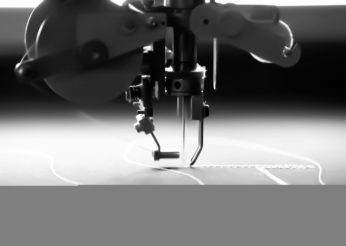 E-BRODER will develop smart textiles with high added-value factors using embroidery technology for home automation applications to sensorise environmental parameters, detect user gestures and provide power wirelessly, through textile articles. The main objective of the E-BRODER project is to carry out research aimed at developing smart textiles with a high added-value factor using embroidery technology for home automation applications intended for use in the following textile sub-sectors: home textiles, upholstery, decoration and contract furnishing. – Decoration fabrics such as curtains with the ability to sensorise environmental parameters in homes and offices. – Upholstery fabrics that act as a sensor capable of detecting different hand gestures to interact with the home-automation system. – Upholstery and decorative fabrics that incorporate embroidered induction elements to power the domotic textile articles or to charge a mobile phone. The resulting prototypes of the project will be provided with a high added-value factor, using a highly-automated process that allows companies working in the sectors of home textiles, decoration, and upholstery and contract furnishings to increase their product portfolio, and therefore become more competitive.